Relax by the water at Bondi Beach and Terrigal Beach. Visiting Manly Beach and Shelly Beach will get you outdoors. Explore the numerous day-trip ideas around Sydney: Nan Tien Temple (in Wollongong), Historical Aircraft Restoration Society (in Albion Park Rail) and Palm Beach (in Palm Beach). And it doesn't end there: take a stroll through The Rocks, contemplate the long history of Justice & Police Museum, explore the world behind art at Art Gallery of New South Wales, and admire the natural beauty at Royal Botanic Garden Sydney. For ratings, maps, and tourist information, you can read our Sydney journey website . Use the Route module to find suitable travel options from your home destination to Sydney. Expect a daytime high around 26°C in April, and nighttime lows around 17°C. On the 22nd (Mon), you'll have the morning to explore before heading off to Blue Mountains National Park. This is the official community page for Blue Mountains National Park. Start off your visit on the 22nd (Mon): explore the stunning scenery at Pulpit Rock Lookout and then appreciate the extensive heritage of The National Pass. To see reviews, more things to do, and more tourist information, read our Blue Mountains National Park online journey planner . Drive from Sydney to Blue Mountains National Park in 2.5 hours. Traveling from Sydney in April, you can expect nighttime temperatures to be little chillier in Blue Mountains National Park, with lows of 14°C. Wrap up your sightseeing on the 23rd (Tue) to allow time to travel to Canberra. Start off your visit on the 24th (Wed): look for all kinds of wild species at Tidbinbilla Nature Reserve, engage your brain at Canberra Deep Space Communication Complex, then take in the exciting artwork at Scott Leggo Gallery, and finally get a sense of history and politics at Parliament of Australia. Here are some ideas for day two: explore the world behind art at National Gallery of Australia, trek along ANZAC Parade Walk, then take an in-depth tour of Australian War Memorial, and finally get to know the fascinating history of Canberra Rotary Peace Bell. To see other places to visit, photos, reviews, and more tourist information, go to the Canberra day trip site . Traveling by car from Blue Mountains National Park to Canberra takes 4.5 hours. Plan for a bit cooler temperatures traveling from Blue Mountains National Park in April, with highs in Canberra at 24°C and lows at 7°C. Wrap up your sightseeing by early afternoon on the 26th (Fri) to allow time for travel to Melbourne. 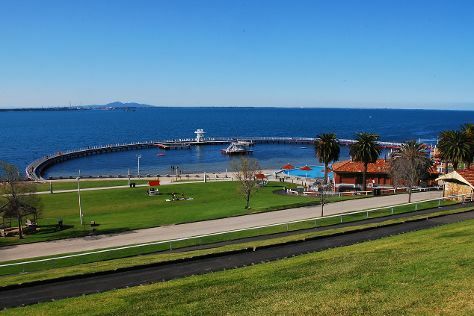 You'll explore the less-touristy side of things at Lake Wendouree and Eastern Beach Reserve. Get in touch with nature at Ballarat Wildlife Park and The Great Ocean Road. Venture out of the city with trips to Phillip Island Grand Prix Circuit (in Ventnor), Bells Beach (in Torquay) and Art Gallery of Ballarat (in Ballarat). Spend the 7th (Tue) exploring nature at Castlemaine Diggings National Heritage Park. Spend the 5th (Sun) wandering through the wild on a nature and wildlife tour. 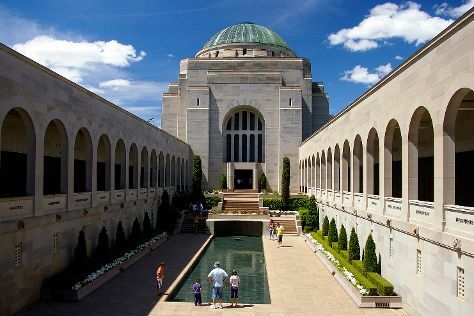 There's still lots to do: learn about all things military at Shrine of Remembrance, take in the spiritual surroundings of St. Patrick's Cathedral, take in nature's colorful creations at Royal Botanic Gardens, and examine the collection at Melbourne Museum. To find photos, traveler tips, maps, and more tourist information, read Melbourne travel route planner. Getting from Canberra to Melbourne by flight takes about 3.5 hours. Other options: drive; or take a bus. Traveling from Canberra in April, Melbourne is a bit warmer at night with lows of 11°C. 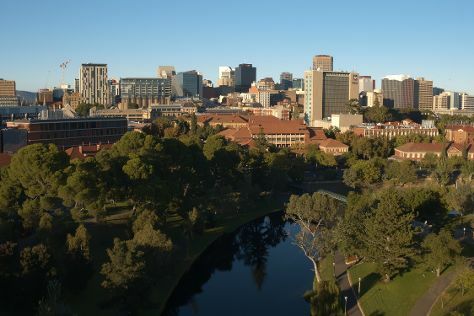 Finish your sightseeing early on the 8th (Wed) to allow enough time to travel to Adelaide. Your cultural itinerary includes sights like Rockford Winery and State Library of South Australia. You'll explore the less-touristy side of things at Aldinga Beach and Stand-Up Paddleboarding. Change things up with a short trip to Gorge Wildlife Park in Cudlee Creek (about 44 minutes away). Next up on the itinerary: enjoy the sand and surf at Glenelg Beach, hike along River Torrens Linear Park Trail, and appreciate the history behind The Rundle Mall Pigs. To see other places to visit, reviews, more things to do, and other tourist information, use the Adelaide itinerary planner . You can fly from Melbourne to Adelaide in 3.5 hours. Alternatively, you can drive; or take a train. In May, plan for daily highs up to 22°C, and evening lows to 12°C. Cap off your sightseeing on the 11th (Sat) early enough to travel to Perth. You'll discover tucked-away gems like Kayaking & Canoeing and City Beach. 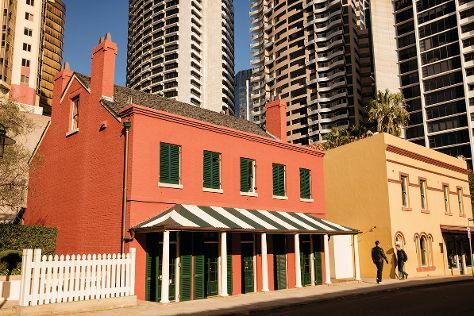 Get some cultural insight at Fremantle Prison and The Perth Mint. Change things up with these side-trips from Perth: Mullaloo Beach (in Mullaloo), Fremantle (Glen Cowans' Studio at the Roundhouse & The Fremantle Round House) and Rockingham (Rockingham Beach & Point Peron). There's still lots to do: take a memorable tour with Tours, don't miss a visit to Monument Hill War Memorial, contemplate in the serene atmosphere at St. George's Cathedral, and identify plant and animal life at Matilda Bay Reserve. To see ratings, more things to do, traveler tips, and other tourist information, go to the Perth trip planner . Getting from Adelaide to Perth by flight takes about 5.5 hours. Other options: take a train; or drive. You'll gain 1 hour traveling from Adelaide to Perth due to the time zone difference. In May in Perth, expect temperatures between 25°C during the day and 11°C at night. Finish your sightseeing early on the 16th (Thu) so you can travel back home.